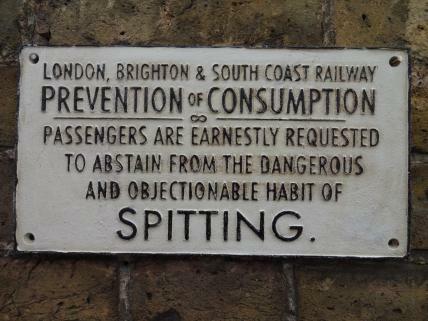 This cast iron railway sign features a passenger warning to refrain from "Spitting". The plaque comes with pre-drilled holes for easy hanging. Black raised lettering on white background gives the design an authentic vintage feel.